In the summer of 2012, all eyes were focused on London as the world’s greatest sporting event took over the capital city. With almost 27 million viewers of the Olympic Games opening ceremony in the UK alone, the pressure was on to get the whole event right, from building the venues in time, ensuring public transport could cope and winning medals, through to the underpinning technology. After a long and hard-fought tender process, BT was awarded the contract at the end of 2007 to provide networking for all the sites, in London and across the UK, and to ensure everyone from press to athletes and, of course, the spectators, would be able to stay connected. But it was not only the visitors to the Olympic sites who depended on the network. It was needed by millions of spectators around the world so they could watch and share in the experience wherever they were. With this mammoth task, four years for planning does not seem like a long time. Tim Boden, the technical director of the Games – who is now back in his day job of solutions director for the Unilever account at BT – tells Computer Weekly about the long process to secure and deliver the contract. “I joined BT in 2006, just after the invite to tender had been published. A long-list was released in March 2007, but it took a long time to be narrowed down to two, which I believe was us and France Telecom – or Orange Business Services as it is represented here,” he says. When the deal was done, BT became responsible for all the Olympics networking needs, from wide area networks (WANs) to local area networks (LANs), wireless LANs to mobile services, and everything in between. This needed a strong team that, although grew in size throughout the process, began at a very modest number for such a mammoth task. Planning began in the wake of the Beijing Olympics, with a team of between 25 and 30 staff, says Boden. Two years later, when it had finished the designs, the tech team grew to between 50 and 60 staff. 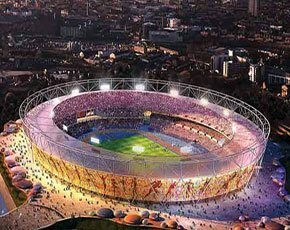 “When the first project needed to go live – in fact it was LOCOG’s (London Organising Committee of the Olympic and Paralympic Games) offices – in April 2010, we had 100 people, and when the Games were a year out we had grown again to 250,” he says. However, it was in the final weeks and months that the staff numbers exploded and the challenge of managing people became one of Boden’s biggest issues. “When we were starting to roll out for the test events, things really began ramping up and we had around 850 people for the duration,” says Boden. “Four or five years out, it looks like a normal telecoms contract, albeit for a high-profile case with certain service levels that had to be guaranteed. However, the whole process of managing those people and training them up took the best part of two years' planning to find a way of getting those additional 550 people completely functional in a three-month window,” he says. BT decided to use only existing BT employees, rather than hiring in contractors, offering the roles as rewards for good performance in their normal jobs. However, this added another level of strain to Boden and his team, who had to negotiate that time off with existing line managers, get the staff ready and then faze them out when it was time to return to the day job. The figures behind the deployment are sizable: more than 5,500km of optical fibre was laid across 94 venues; 11,500 fixed telephones were installed, making and receiving 500,000 calls; and the number of BT Wi-Fi hotspots in London hit 500,000. All the equipment was provided by Cisco, as one of the lead sponsors of the project, with much returned afterwards. “We put the kit back into somewhere around 60,000 or 70,000 boxes,” says Boden. But pressures were felt keenly by Boden and his team when time was not on their side. Then there were the road-based events, where routes were only closed off very close to the races, so BT had limited time to get everything up and running. “Venues such as Wimbledon, where just three weeks before the men’s final had taken place, mostly went fine," says Boden. Despite these hurdles, Boden and his team finished on time, and organiser LOCOG was very pleased with the results. “BT’s major programme approach to right-first-time delivery, risk management and exhaustive testing ensured that all major milestones were delivered on or ahead of time, and as a key technology partner helped enable a first-class delivery of the Games,” says LOCOG CIO Gerry Pennell. “The global media placed great demands on the IT and telecommunications infrastructure. Feedback from broadcasters was that London 2012 was the best Games service they had experienced – a great testament to the hard work and service levels provided by BT," he adds. “London staged one of the greatest Olympic and Paralympic Games ever. Beyond the statistics, technology had a profound effect on how people interacted with the Games, and none of that would have been possible without BT, whose commitment to these Games was quite simply spectacular,” says Pennell. But the London Games was always touted as one of legacy. What has Boden and BT left behind that can benefit the UK and its economy? “All the fibre which supported broadcast at the time has become part of OpenReach – BT’s commercial ISP business – so if you go to Weymouth now, for example, you can get great fibre speeds where there wasn’t any before,” says Boden. But for Boden, the real legacy of the Games for BT is on the inside of the company.